nice where was this? and date? 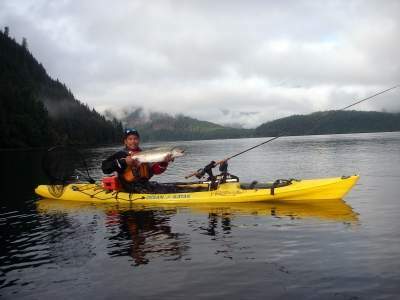 Which is longer, the kayak of the fishing pole?